Solar manual automated is an important question for the home builder. Solar manual or automated is an important decision to be made up front. 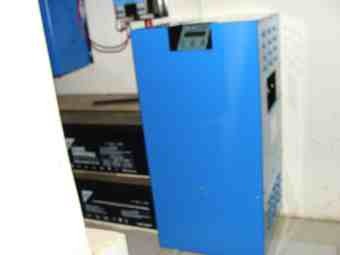 Building your own solar generator, manual or automated, needs to be faced from the start. It all has to do with professionalism. This big 10kW inverter is the at the heart of our manual system; if you have the money buy something equivalent, but certainly never go less than two kilowatts. I think we would agree that the average person, given time and the ability to seek and heed advice, could build their own home; but could you build a bridge over the highway? The answer is obviously a big no; to design and build a bridge requires skills and know how far beyond the common man. In short, it would take a professional. So, the electricity supply in your country is becoming increasingly unreliable; or perhaps too expensive. Maybe it's something rather more esoteric; you want to contribute to ensuring that your grandchildren can look forward to an inhabitable planet Earth. Whatever, you have decided to look into the feasibility of building an electrical plant in your home or business that relies, perhaps entirely on the sun for its energy; could you do it yourself, or must you call in the professionals? That all depends on your own skills and confidence; I have no formal skills in electricity but I do have an interest and some background. And I have built a basic, manual solar generator; but I wouldn't attempt a fully automated system myself. A totally automated solar generator will evaluate electronically how much energy the sun is supplying, and how much you are using, and then make the decision whether to start using your electrical utility's energy. In South Africa that's a company called Eskom; no one trusts it any more to supply our electrical needs. So, before starting out on your journey, is it to be solar manual or automated? Solar manual automated questions whether the common man could build his own sunspot generator. A manual solar system on the other hand depends on you to make that call; with the use of a change over switch you can toggle back and forth from your utility to the inverter. That means that for large parts of the day someone must be present to make these judgements. Clearly a fully automated solar system has distinct advantages over a manual generator. So you have to make the solar manual automated decision up front. So, where's the catch? Why doesn't everyone choose an automated solar generator over a manual system? It's all about price; and dirty power from your grid entering and destroying your components. To build a fully automated system, to my mind, requires the services of a professional company who will design and install a solar generator that is tailor made to your needs. Assuming they do a good job, and the greed factor doesn't kick in, it's worth considering; if you can afford it. They are likely to charge a substantial fee, and there's nothing wrong with that. Could you do it yourself and save yourself a bucketful of money? Yes, you probably could if you are prepared to think, talk to folk, scour the net and have the time to manage a manual solar system. I did it and so could you; we use about five dollars of electricity every month from the grid. How much did I save, you may well ask? I'm not sure, but an article in the Mail and Guardian spurred my interest. A solar engineer, pictured above, decided to build his own solar manual automated system in his home. He himself admitted that he used only the very best materials; frankly, even if building your own manual solar generator, I would do the same. If you do it properly the first time, it hurts only once. Using inferior materials to save a few rands or dollars makes no sense at all. For example, I started with what I thought was a good German change over switch, but not the best. It lasted one year and a day. Top of the range is predicted to last for ever, I'm told. Even at three times the price that should be a bargain. 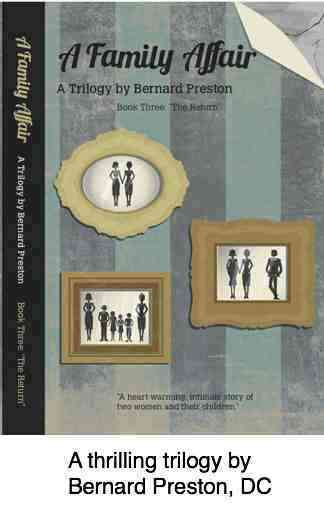 I should have bought the Kraus and Naimer from the start; it's now five years old and perfect. And so it is with each and every part; buy only quality products. 8 x 200Ah long life lead crystal batteries costing R50,000. Recently, for R13,000 (about $1000) I've added another kilowatt of west facing solar panels. and more recently another 930 watts of mobile solar panels that manually follow the sun; I have to turn them myself, with another regulator. All the materials are of the highest quality and this supplies our two home with all our basic electrical needs; there's enough energy for mowing the grass, oven roasting a chicken, driving two pumps, one for the pool and the other for our reservoir during the day. And two fridges and the hot water kettle for tea, a toaster, washing machines and dishwashers. More PV panels are in the planning. At night we have enough energy for LED lights, computers and television, and the fridge. The big expenses were for the batteries and the heavy duty 10kW inverter. It gives us room for expansion. On a sunny day we have more than enough energy, and the system manages itself; but on misty and cloudy days, a manual solar generator has to be juggled. Can we use the electrical oven? Should we turn the pool pump off, if we want to use the kettle? There is considerable irritation. And, we have stayed on the grid, so that we can have hot water should there be a five day rain which happens periodically. Solar engineer Mark Bleloch with all the technical skills behind him has in Cape Town built a fully automated solar generator; he calls it a 6.3kW system but the details are sketchy. The cost was nearly R200,000. No mention is made of the installation costs; did he do it himself, or is it included? I've asked for details from him. Unknown sized MPPT but probably 100 amp. The disadvantage of a grid tied system, says he, is that it shuts down when the utility does load shedding, or in the event of a total blackout; just the time when a manual solar generator that is independent of the grid comes into its own. As backup for these periods, he has to use a small customised unit with batteries that is off the grid to supply lights and computers. In effect he has a solar manual and an automated generator. I think my manual solar generator is better; I wouldn't swap, despite that massive 6.3kW of panels. When the grid goes down, which happens perhaps once a week, and it's cloudy, we still have enough sun energy for our computers and lights; we have no need of a petrol generator. Bleloch would be resorting to fossil fuel. The big plus of a manual system is that you could build it yourself, you'll have full power in the event of rolling blackouts or total blackout, and the cost will be less, but probably not substantially less as it will include the batteries. Bleloch's automated generator has more panels but no battery and I think probably a smaller inverter; the manual system, including the batteries was about a fifth less. The advantage of the automated system is that the system is constantly monitoring the radiation from the sun, making the necessary adjustments, and you can sell any excess to the utility provider; if they'll buy it. The serious downside is that you have no power, no matter how bright the sun, if your utility goes down. I would say a big amen to that. Building our solar manual automated generator has been a great deal of fun; the only part that not was not enjoyable was creeping around in the ceiling. Next time round, I would build a dedicated workshop, using the PV panels for the roofing; no ceiling work. Sixty percent of the panels would be facing due north (in South Africa), and 20% would be facing east, and another 20% west facing for the late afternoon sun. This latter 40% would be more steeply oriented, say at 60 degrees. Or build it on the ground like this system that I saw in a small fishing village in Holland. Up on a roof it would already be getting early morning sunshine. Is total blackout a real possibility? Could you filter and chlorinate a solar swimming pool? Run a solar lawnmower, or the oven? Yes, sir, all with 4kW of panels but a large powerful inverter; now we have added an extra 1.5kW which means less fuss when using the dishwasher and other appliances that draw a lot of current. 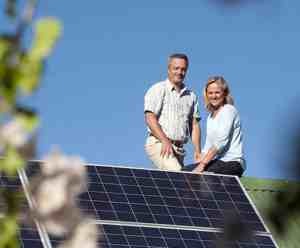 Solar power energy comes for free; only collecting and storing it comes at a price. The joy of it is that the electricity produced is much purer without the surges and brown outs that your utility may deliver. Can you imagine the damage this did? 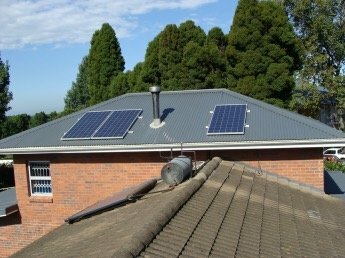 I'm convinced that in South Africa being grid tied is not an option; having a solar manual system, completely separate from the utility saved my bacon; down the street, folk are crying. 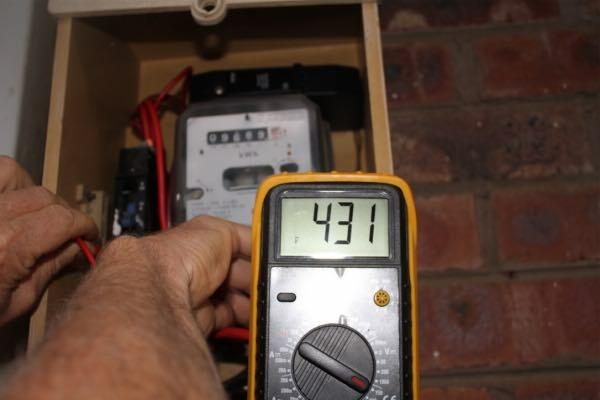 Sensitive electronic equipment in the home and business loves solar power energy; Bernard Preston has had a lot of fun building his manual solar generator; we still use small amount of grid power, mainly for heating water in inclement weather. 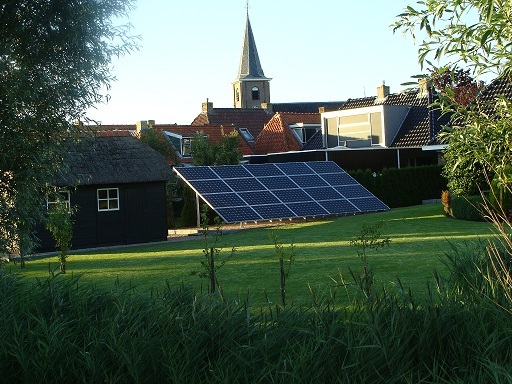 Residential solar panels pitch is one of the important considerations. Do you understand the difference between the solar lens effect of refraction vs reflection? So, the solar manual automated decision must be made early in the process. You can read all about Bernard Preston's further machinations about solar manual automated generator at day in the life of solar geek Bernard Preston. It's all been fun, and a huge learning curve; it's helped keeping the dreaded Alzheimer's at bay. That together with plenty of exercise and healthy choice foods. Lower back exercises every morning before arising from bed in the humble opinion of this chiropractor should be done by every single person; yes, you too. It would save you a mint, and a lot of pain. If every one in the world did them it would put a great many chiropractors and surgeons out of business! We sit too much. 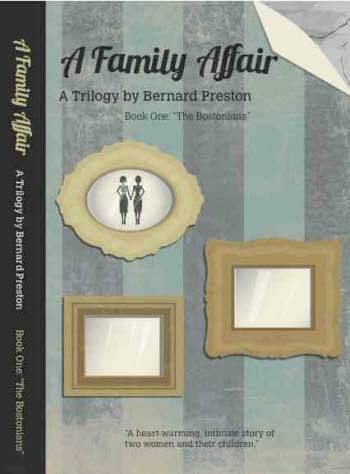 If you love to read, then enjoy this freebie from one of Bernard Preston's six books. A day in the life of student constable Santie Veenstra, morning. Hang on to your hat! 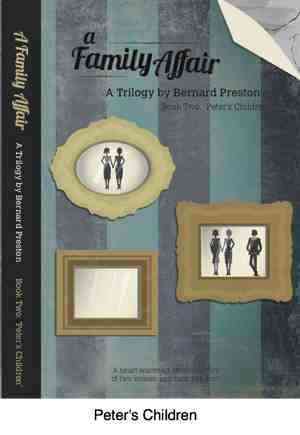 They are dirt cheap at 99 cents each on your Kindle or tablet.